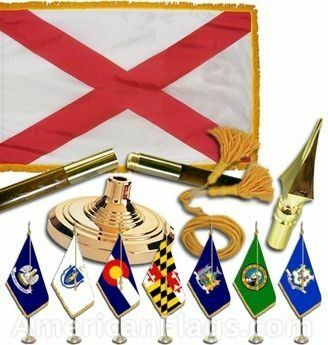 AmericanFlags.com is proud to carry Alabama State Flags in a variety of materials, and styles, in sizes ranging from 4 IN X 6 IN to 12 FT X 18 FT. All of our Alabama flags meet official specifications, are on sale right now and are ready for immediate shipping to your home, business, school or church. 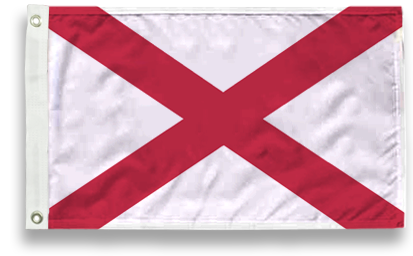 The official flag of Alabama was adopted by Act 383 of the Alabama state legislature on February 16, 1895. 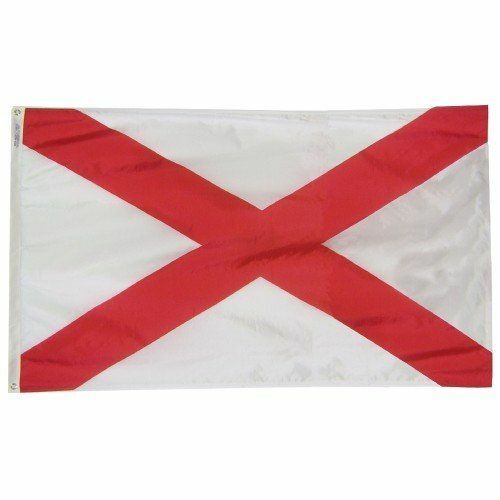 According to the Acts of Alabama, 1895, the state flag was to be a crimson cross of St. Andrew on a field of white. 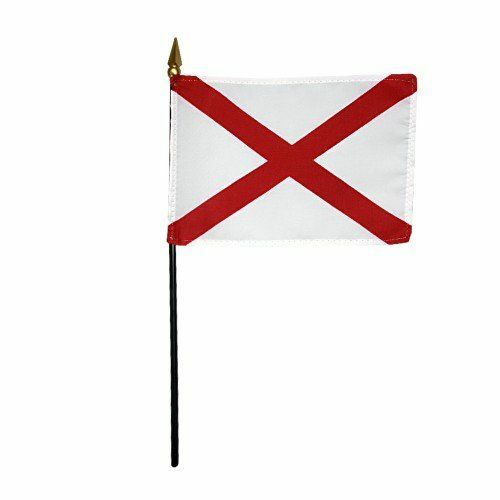 The bars forming the cross were not to be less than six inches broad and were to extend diagonally across the flag from side to side. 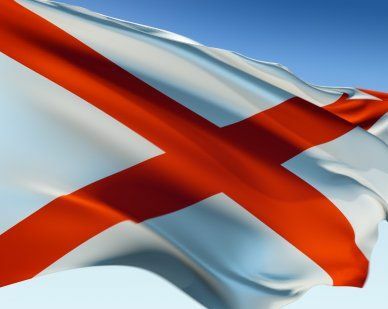 The act did not designate a square or a rectangular flag.